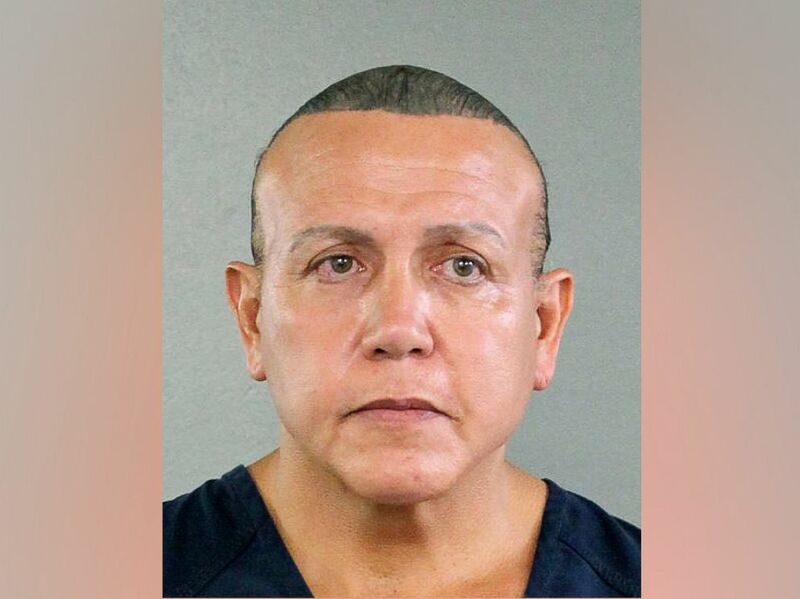 The FBI has compiled a list of names and addresses found in the possession of suspected mail bomber Cesar Sayoc. The belief is these were people -- including politicians, media figures and celebrities -- to whom he was considering sending additional devices. The FBI is now notifying everyone on that list, per the FBI’s so-called "duty to warn" policy of notifying people who are the subjects of threats of violence. Federal officials had previously warned that additional improvised explosive devices still could be traveling through the mail system. There were 14 suspicious packages discovered last week that were linked to Sayoc, who was arrested on Friday and charged with five federal crimes. Sayoc appeared in court today in Florida and was seen talking and smiling with his lawyers. 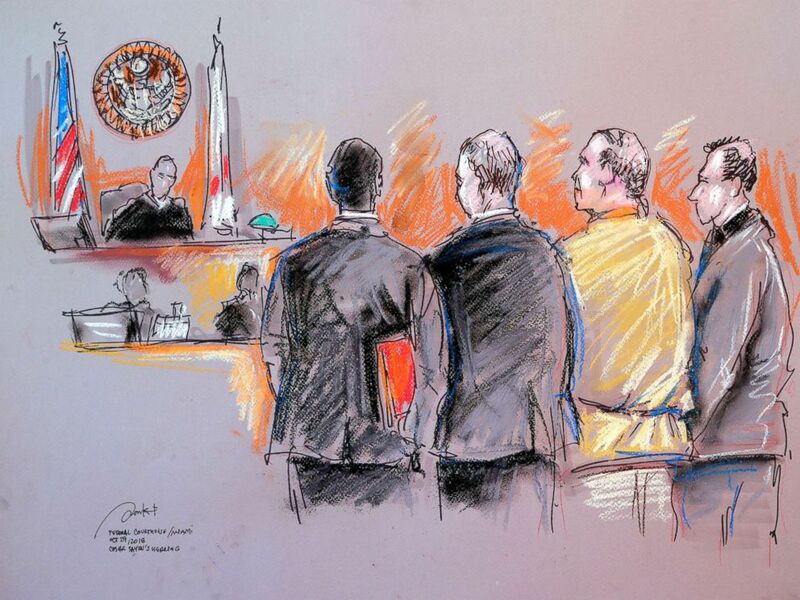 In this courtroom sketch, Cesar Sayoc, second from right, appears in federal court, Monday, Oct. 29, 2018, in Miami. Flanked by his newly retained three private attorneys, Dan Aaronson, James Scott Benjamin and Peter Patanzo, Sayoc appeared in a federal courthouse in Miami Monday afternoon. Sporting a tan jumpsuit with a bright orange undershirt, he seemed engaged with his lawyers and very talkative – often smiling. When Magistrate Judge Edwin Torres addressed Sayoc, he nodded and spoke softly into the microphone. The government is asking to detain him before the trial, leading the judge to set a detention hearing for Friday Nov. 2. For now, removal proceedings are delayed. All told, those charges could lead to a maximum of 48 years in prison. Sayoc has not yet entered a plea.